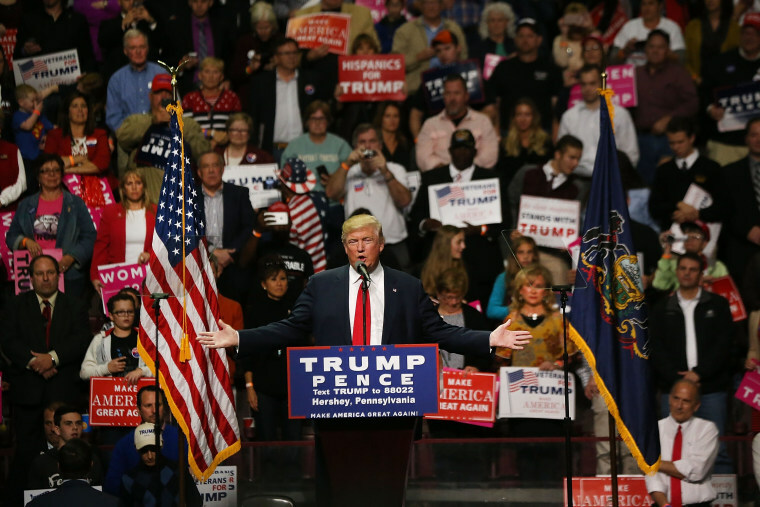 The great red/blue divide running through American politics has long had a cultural dimension, but the gaps grow even wider when one looks at the group of voters firmly behind President Donald Trump, according to the latest NBC News/Wall Street Journal poll. Those “true Trump” voters – people who voted for the president because they supported him rather than opposed Hillary Clinton – make up about 22 percent of registered voters in the poll and they take much stronger stances than their Republican brethren on issues ranging from LGBT rights to immigration. On those sociocultural markers, the Trump arm of the GOP looks almost like an entity unto itself, one that is feeling acutely uncomfortable with many of the changes of the past decade and overlooked by the news media. The attitudes among true Trump voters raise questions about the Republican Party’s direction. The energy in the GOP right now is with them and the data do not suggest they are a group looking for compromise or moderation. The party in power often takes issue with the news media and that’s generally more true when Republicans hold the keys to the White House. President Trump’s often-testy relationship with the press has only heightened tensions. But the NBC/WSJ poll looked at a specific question, whether the voters were bothered by the idea that “the national news media too often ignores the issues of working-class Americans.” And on that question, the divides were especially sharp. About two-thirds of Republicans say they are bothered “a great deal” or “quite a bit” a perceived lack of coverage aimed at working-class Americans, a number 17 percentage points higher than the figure for Democrats. But more than three-quarters of true Trump voters say they are bothered by the media’s lack of attention. That may not be a surprise, considering Trump’s strength among working-class voters, but it also tells you that the president’s attacks on the media are likely to continue. The responses on the question show there is a deep vein of distrust of the media among Trump’s base. For decades now, immigration has been a divisive issue in the United States, particularly among Republicans. That shows up in the NBC/WSJ poll and the true Trump voters exacerbate the differences. A solid majority of true Trump voters, 55 percent, take the more pessimistic view. Those numbers suggest that Trump may not have a lot of room to maneuver on this issue with his people. That makes this week’s news of Trump possibly compromising with Democrats on DACA, the immigration program for illegal immigrants who came to the country as children, especially notable. How will the true Trump voters respond to that possibility? The country’s movement toward accepting gay and lesbian marriage has been remarkable. In just seven years, Pew Research data shows the public opinion has gone from a plurality opposing the unions to a strong majority in support. Republicans have lagged behind the broader national trend and that’s even more evident among true Trump voters. That’s an 11-point difference between Republicans and true Trump voters. The Republican split becomes even more evident when you consider what the poll calls “soft GOP” voters. Among that group, 51 percent say they favor gay/lesbian marriage. Nationally, gay marriage may look like a settled front in the culture wars – overall 60 percent favor in the poll – but within the GOP, the fight goes on and true Trump voters look firmly entrenched. The poll also asked one more comprehensive question about societal changes in the United States as the nation becomes more “diverse and tolerant of different lifestyles, gender roles, languages, cultures and experiences.” On that question, the differences between the parties and the position of true Trump voters were particularly noteworthy. It’s not surprising that Republicans are uneasier with the cultural changes of the last few years than Democrats, but among true Trump voters, a solid majority say they are uncomfortable. In fact, if you go on the road and talk to true Trump voters you hear that these cultural changes were often at the root of their vote. That may matter a lot because the changes discussed in the question, a rise in “different lifestyles, gender roles, languages, cultures, and experiences,” may not cease anytime soon. In polling, younger voters regularly are more open to changing norms on lifestyle, gender roles and race. In other words, the data suggest the true Trump element of the electorate not only stands apart from the GOP, it also stands against the general demographic trends working their way through the population. That could leave Republicans with a difficult choice in the months and years ahead: move to the political middle and risk upsetting the core of Trump’s base or move toward the true Trump vote and push away independents and moderate members of their own party.